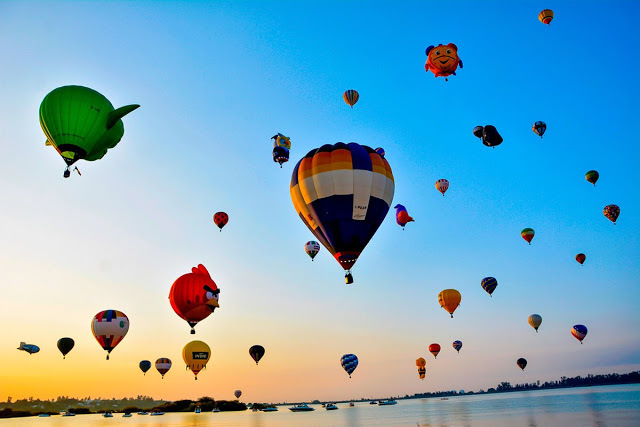 Each year, the Festival Internacional del Globo (FIG), brings together over 200 hot air balloons that fill the sky above the 'Parque Metropolitano in León, Guanajuato, in what is an incredible spectacle. The event is known around the world and over 500 million people come to Mexico year after year. At the festival, hundreds of balloons fly for four days of colour-filled skies, incredible spectacles, concerts and activities for the whole family. Furthermore, the event takes place is an amazing natural environment within an ecological zone, which results in an incomparable setting that is the focus of millions of photos around the world. The action begins in the early morning when 200 hot air balloons start to slowly rise up whilst pilots and crew work tirelessly on the pre-flight checks. Minutes later, the airfield turns into a festival of colours and designs that dance with the wind. This event was the focal point of one of our LUCA Tourism studies, in 2016. Using our technology of mobile data insights, the project aimed to understand the movement, profile, and engagement of tourists in the region of León during the 'Festival del Globo', that took place between the 18th and 21st of November in 2016. The Big Data and Advertising team at Telefónica Mexico, along with LUCA experts, carried out a study of the visitors to the event that included metrics such as the point of origin of the tourists, the identification of the most-visited zones of León and the segmentation by age, gender, social class and profile, including data about the mobility of the tourists by time of day. Understanding the profiles of the attendees to this event, as knowing where they are from and who they are, has allowed the local government of León to evaluate the efficiency of the festival and to direct marketing and advertising efforts. This year we will see if their backing of innovation and a data-driven strategy will lead to more visits to the event so that is is more profitable for the city.